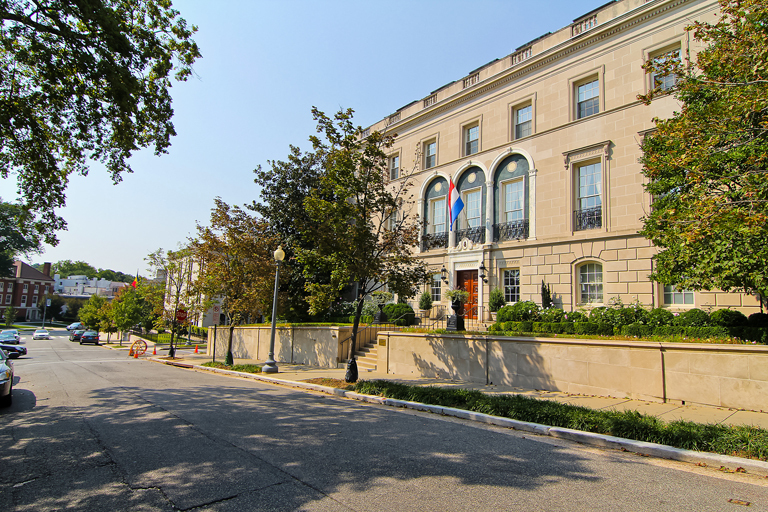 Kalorama, also referred to as Sheridan-Kalorama and Kalorama Triangle are two affluent residential neighborhoods in northwest Washington, D.C. Kalorama Triangle is bordered by Connecticut Avenue, Columbia Road and Calvert Street/Rock Creek Park. 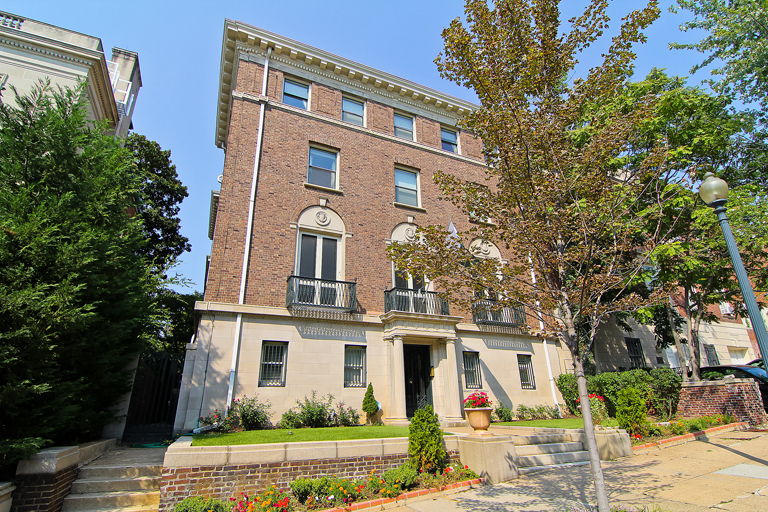 Sheridan-Kalorama is immediately west, located between Connecticut Avenue, Rock Creek Park, Massachusetts Avenue and Florida Avenue. 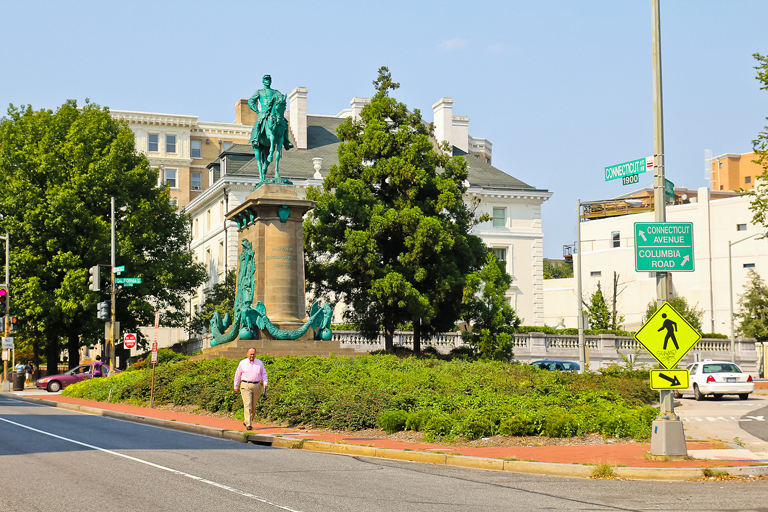 Both are accessible from the Dupont Circle and Woodley Park Red Line Metro stations. The chief distinction between the two lies in the more urban character of Kalorama Triangle, and the more suburban feel to Sheridan-Kalorama. 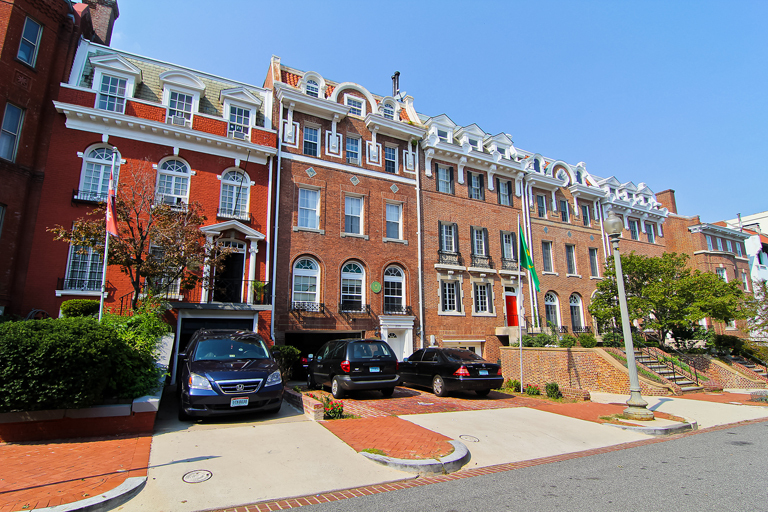 The latter is a notably affluent neighborhood of larger detached residences while the Triangle is comparable with Dupont Circle and Adams Morgan with more attached urban dwellings. Both the Kalorama Triangle and Kalorama-Sheridan are noted for their park-like settings, large single-family homes, spacious and elegant pre-war condominiums and coops, and prestige as desirable addresses within Washington, D.C.
Other highlights of the neighborhood include a number of embassies (the Embassy Row section of Washington is largely situated on Massachusetts Avenue, the northeast side of which is the southwestern boundary of Sheridan-Kalorama), the official residence of the French ambassador at 2221 Kalorama Road, and the William Howard Taft Bridge, with its imposing concrete lions.  The zip codes for the neighborhood are 20008 and 20009.